So here is the first recipe in a series of forty on spices. This time we are looking at star anise, that pretty star shaped spice with a hidden powerful punch. Star anise, or Chinese anise, is the star shaped dried fruit (and seeds contained within) of an evergreen tree (Illicium verum, part of the Magnolia family) native to Vietnam and Southwest China, so it is not surprising that it is widely used in the cooking from these countries. It imparts a deep and warming licorice flavour to dishes, like the Vietnamese soup Pho, and is an essential ingredient in Chinese 5 spice mix. But perhaps more surprisingly, it is the flavouring in several liquors such as Sambucca and Pastis and even, until relatively recently, used to manufacture antivirals such as Tamiflu! I like to use the spice whole, partly because it is so pretty and partly because it is easier to control the flavour level and pick out the bits after. 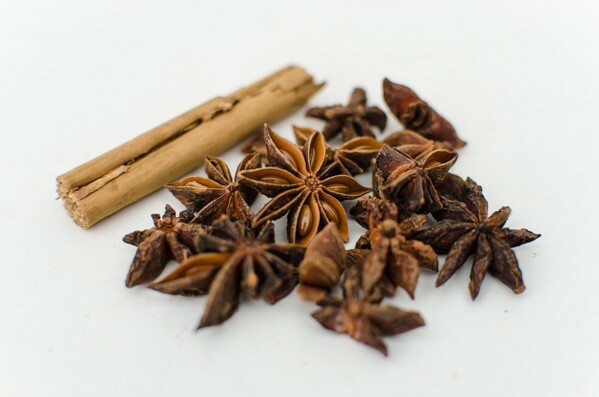 You can buy ground star anise but be very careful with how much you add to a recipe as it is very pungent and will easily overpower any other flavours in the dish. I like to add a star or two to poaching fruit such as plums or pears and I add it my mulled cider recipe (but not to my mulled wine – I like to taste the wine). Recipe from ‘River Cottage Everyday’ by Hugh Fearnley-Whittingstall with a few of my own additions. Serves 4. Tastes even better on the second day, like most curries. Although it contains spices other than the star anise, the later is the star of the show and the predominate flavour but not over powering. 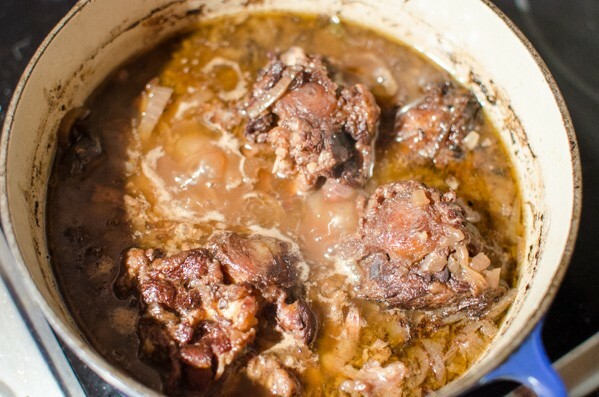 Heat the oil in a large, heavy-based casserole and brown the meat all over, doing it in several lots so as not to overcrowd the pan and end up stewing up. Remove the meat to a plate and turn the heat down to low and add the onions and a sprinkle of salt. Cook until soft and translucent. 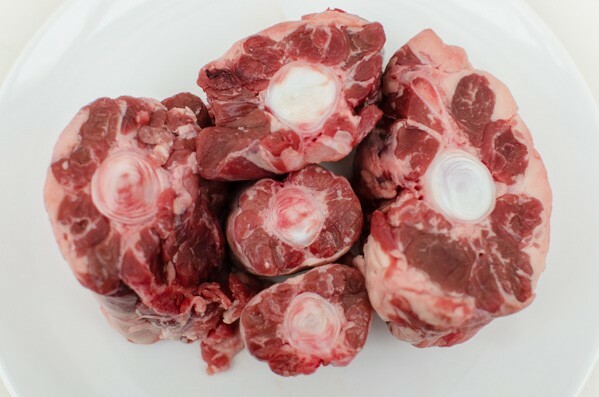 Return the meat to the pan and add all the other ingredients and enough beef stock to just cover the meat. Bring to a slow simmer and then let is cook very gently for about 3 hours. If easier, you can do this in a low oven (120 C) or a slow cooker. After this cooking time, remove the meat from the sauce with a slotted spoon and pick out the whole spices and bay leaves. Leave to cool so the fat rises and you can skim it off with a slotted spoon and some paper towel. Reheat the sauce and boil until slightly thickened. You can either add the meat back in as it is or remove from the bones with a couple of forks (may be a good idea to do this for ‘fussies’). Stir in the chocolate. When you want to serve, heat through thoroughly and serve with mash. It was even better the second day.